Our music lessons are taught by friendly and qualified teachers. We teach Royal Conservatory of Music - all levels, jazz and popular music styles. Less time in the car means more free time to spend with your family. You’ll spend less time in bad weather or sitting in traffic. You’ll receive the same quality lessons as in our studio which means you can prepare for a Royal Conservatory of Music exam from Grade 1 to ARCT level, or just play for fun. Learn from skilled and highly supportive teaches who smile! Our instructors teach all ages and skill levels from raw beginner to experienced piano players and singers. Your one-on-one lessons in your home are exclusively tailored to your gaols and needs. For busy parents and students you’ll have a safe and familiar environment to learn. You could listen to the lesson while still attending to other duties in your home. You can ask questions and more easily be involved in keeping track of your child’s progress. When you’re learning on your own piano, you’ll be more relaxed and feel free to express yourself. Everything is right at your fingertips including all your books and assignments. People are busy these days, we get that. 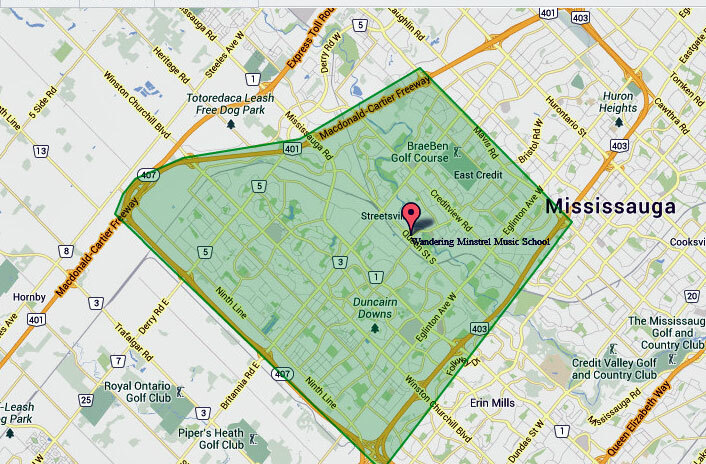 The Wandering Minstrel Music School has been providing in home lessons in Mississauga since 1982. We offer a personal touch to music lessons, and we are committed to our local community because we truly care about our customers. We also operate a music school in the beautiful Village of Streetsville where in addition to piano and singing lessons, we teach guitar, ukulele, saxophone, flute, clarinet, violin and viola. We offer step-by-step private lessons so that you can learn at your own pace. Our professional vocal teachers will make sure that you have a great learning experience. You’ll learn to read music, work on your vocal technique, and improve your vocal range. Your singing teacher will encourage you to try a wide mixture of music from jazz to pop, classical or musical theatre. If you’re ambitious, you can prepare for auditions, competitions or the Royal Conservatory of Music vocal examination. The more you perform, the more confidence you’ll become in your abilities. 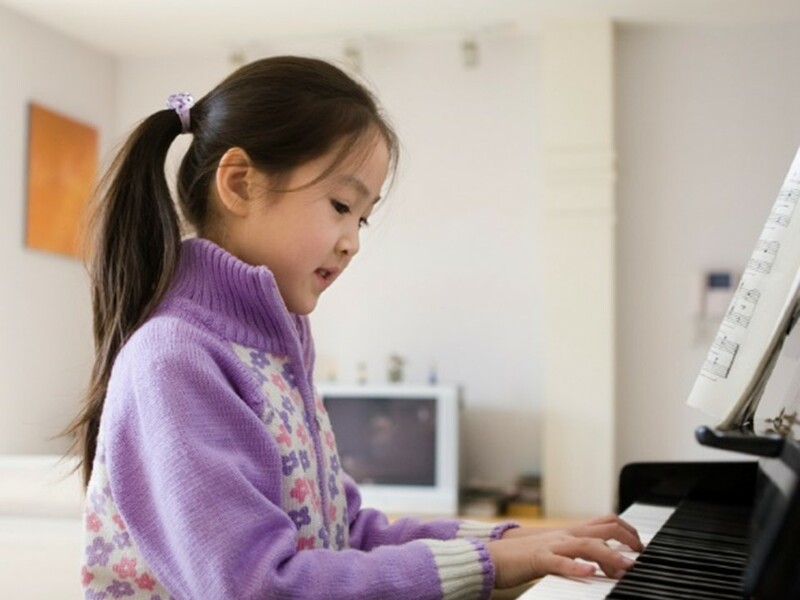 Vocal lessons can begin as early as age 10, but sometimes younger students can take lesson too. You can arrange a trial lesson to make sure your child has the maturity to handle both the physical and emotional aspects of lessons. The older the singer, the closer they are to their ‘adult’ voice, and the more responsive they are to understanding and following instructions. Your piano teacher will show up at your door each week, energized and enthusiastic about bringing music into your home. We’ll cover all aspects of playing including reading, theory, technique, ear training and general musicality. We’ll get you set up with the right books, and you may be surprised at how quickly you’ll learn the basic piano material. If you’d like to follow the Royal Conservatory of Music guidelines, we’ll make sure you’re fully prepared to take your piano exam. We give high quality piano lessons beginning at age 5. But wait, lessons are not just for kids! Adults can learn too. Even if you’re an absolute beginner, we’ll strive to make learning easy for you. If you’re an intermediate or an advanced player who’s been away from the piano for some time, we’ll help you revitalize you playing. A traditional piano is best for lesson however we recognize that not all piano students have acoustic pianos in their homes so we are happy to conduct lessons on digital pianos as well. Digital pianos have weighted keys that resemble the responsiveness and feel of an acoustic piano. A keyboard is not well suited to having in-home lessons given its small size and light touch. You can begin your lessons on a keyboard for a couple of months, but eventually you’ll need to upgrade to a digital piano or acoustic piano. It is difficult for students to sing a cappella (without musical accompaniment) so a piano, digital piano or a keyboard in your home is required for lessons. 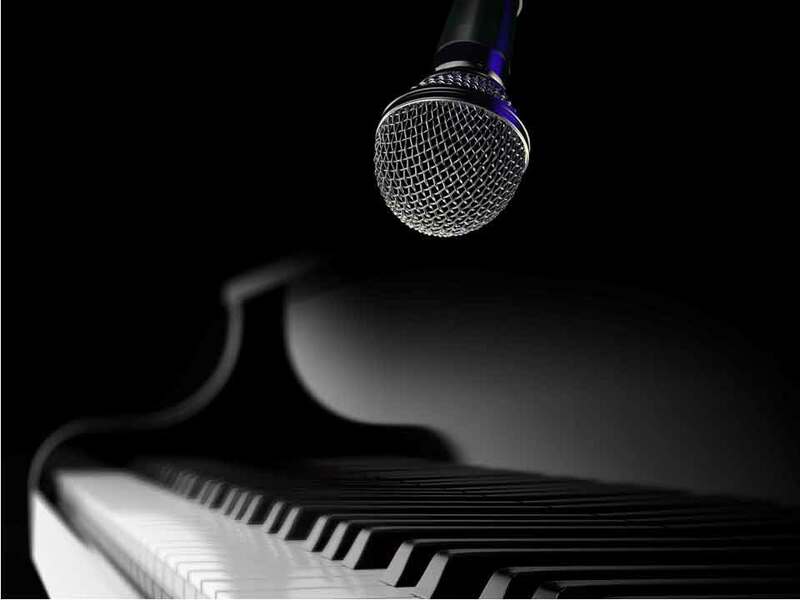 During lessons, the teacher will play the vocal exercises on the piano, and accompany you while you sing. You get the best of both worlds - the comfort of home, plus high quality lessons. Reschedule or cancel anytime with 24 hours notice. Less time in the car means more time with your family. Parents can listen to the lesson as they take place—even if at a distance. Everything’s right at your fingertips. No leaving books behind. We work around your schedule. Afternoon, evening and weekend appointments available. Learn in the comfortable and relaxed atmosphere of home. Learn any music you like, from classical repertoire, to top-forty hits. Learn from skilled and highly supportive teaches who smile! Same level of professional and expert instruction as our studio lessons. If there's one thing that sets our school apart it is our piano teachers. They are all amazing musicians and wonderful people. Your piano lessons are just a phone call or click away! Call today!